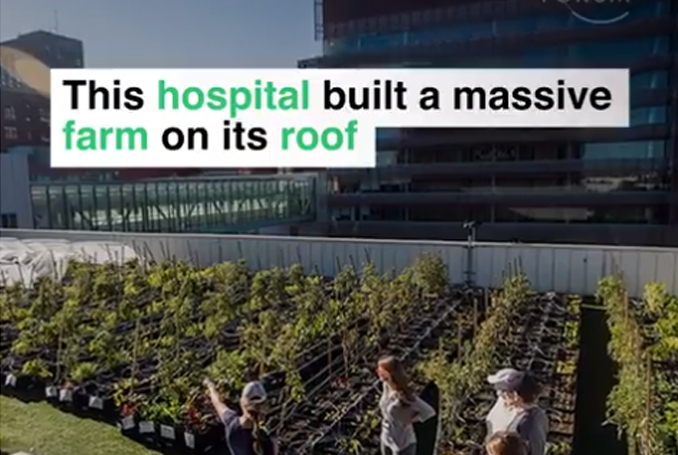 Agriculture thriving in a rather unexpected place, this hospital in the US have built a farm on their building rooftop to feed patients, staff and the community. The farm is estimated to produce 7000kg of food this year alone. It is an enterprise that I wish more organisations could get behind, wouldn't it be great if more buildings aimed to do the same to help their communities? That's just amazing. View also this website page to see more impressive things.